Microsoft plans to launch “Windows 9” this fall, backed by a substantial advertising campaign, according to Russian leaker Wzor. The Russian blogger also predicted that the release will be accompanied with a new distribution method that will be keyed to the user’s PC and the online Microsoft Store, rather than an activation key that will be sold and/or distributed to an individual user. Wzor, who went silent in March after allegedly receiving leaked information from former Microsoft employee Alex Kibkalo, recently resurfaced, posting information to Russian bulletin boards. His latest post actually spends more time describing the new activation system than the Windows 9 campaign—although that may end up being the more significant announcement. So far, Microsoft hasn’t said what its future plans are regarding Windows. Following the recent release of Windows 8.1 Update 1, tipsters have pointed toward a second, minor update this fall. Following that, reports have said, comes “Threshold”—though whether that's considered to be a third update, or a new, full-fledged “Windows 9” is up in the air. At this point, the distinctions are purely marketing—but what important distinctions they are. According to NetMarketShare, the combined market share of Windows 8.1 and Windows 8 is just 12.54 percent—more than Apple’s Mac OS share, but far less than the 25.31 percent held by Windows XP, or the 50.55 percent share held by Windows 7. Microsoft stopped disclosing the number of Windows 8 licenses it had sold long ago. Also, its product releases have steadily moved away from the bold, yet intimidating Start Page to something a little more friendly, such as the shrunken Start menu that will supposedly accompany Threshold. 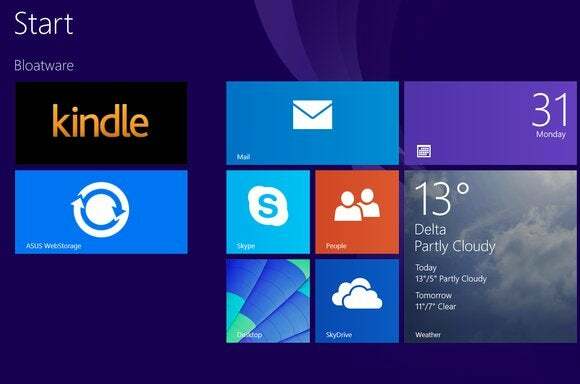 It's Microsoft prerogative to keep the Windows 8.1 branding—or not. But there’s equal reason to jump ahead to Windows 9 and a new chapter in its product development. If that turns out to be the case, then yes—Windows 8 is the new Vista. Wzor also outlines what he describes a new, online-centric method of registering a Windows purchase. According to Wzor, registration would be bound to a single PC and activated when the user connects it to the Windows Store. Users could also back up the key to a special 'ESD-RETAIL' format on either a flash drive or another PC. Users who tried to run a single copy on multiple PCs would be asked to “undock” it, in Wzor’s phrasing, within three days. Caustic Microsoft communications chief Frank Shaw essentially dismissed the rumor, tweeting “Was there a ‘crazy rumor day’ declaration that I missed?” without specifically referring to the Wzor report. Whether or not the report is true, the question it raises is an important one. Each Windows 8.1 release that Microsoft ships leaves the company mired in history. With a new chief executive, a revamped executive structure, and a new “mobile first, cloud first” mantra, doesn’t it make sense to turn the page on Windows, as well?